As ever the mix is pretty electic. We have bands, cupcakes, a mind reader, drinks (of course), prizes galore (a hell of a lot of prizes), a DJ, a Foursquare Superswarm attempt (very geeky), boardgaming, a photobooth, goodiebags, silent auction, even an opera singer! This doesn’t even cover half of it! 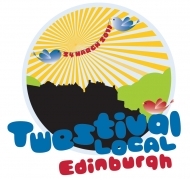 The twitter noise is certainly ramping up now too, @EdTwestival is seeing a whole load of attention and excited twitter-type-people! The team have all been hard at it. Sponsorship and prizes have been flying in left right and centre. The tech is all coming together. Things are looking good! Personnally I’m having trouble keeping track of everything going on, all I know is that I have a carload of stuff I’d quite like to keep! Unfortunatly though, I can’t, this lot and more will all be up for grabs on the night. Ok, enough of my babbling nonsense. There is only one issue remaining: Have you bought your ticket? I’m done with the soft-sell, just buy it! NOW! It’s only £10 (£8 if you’re one of those people that gets to sleep till midday), it all goes to charity, and you get a load of stuff in return. What’s the problem? I hope to see you all there if you can make it!